I meant make it so the figure separates and not the accessory. You still have to split the tires and remove the middle with what we have. It doesn't matter in the long run, but say, Dimension Taxi and Lucky Jackpot--if they were two tires that ever got made in the SHF line, they'd be impossible to display being used like on the show. I get you now, I suppose they just figured they weren't going to be making all of them so didn't bother making them work uniformly across all the forms? Like how the parts to swap the tyres for Types Wild and Technic aren't remotely compatible with Type Speed, and he didn't really use them anyway in the show. It helped keep them show-accurate too, I guess. They made SO many Drive figures that they could have found a way to pack all the tyres in if they really wanted to. And you couldn't be more right on that medal comment. It's going to be a pain lol. Hopefully for more of Wizard's forms in SS, they give us new hands that already have the rings on them to avoid that very issue. I'm hoping there's some way to close the top over on the driver to stop them falling out? Like Taichi said about Eternal, I've had the same exact issue with W and Skull. It's a great gimmick and I'm glad it's included but yeah.... I'd like to not worry about losing vital parts if I sneeze by my figures! 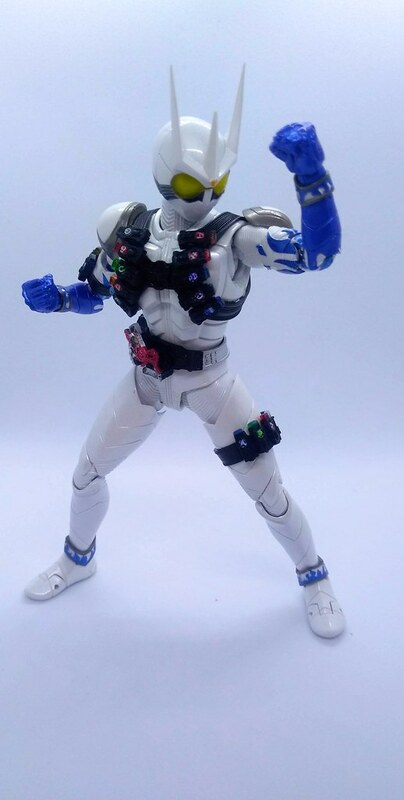 I do wish we had more Metal Hero Figuarts. 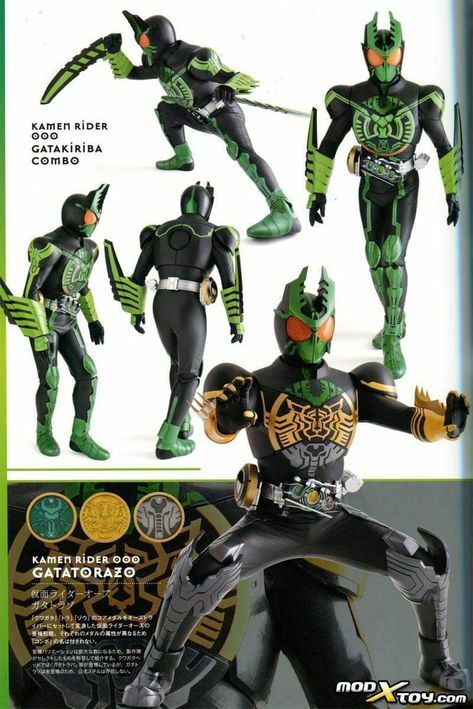 B-Fighter Kabuto would make beautiful pieces. Not to mention, the New B-Fighters and B-Crushers are begging for updated figures with today’s articulation. 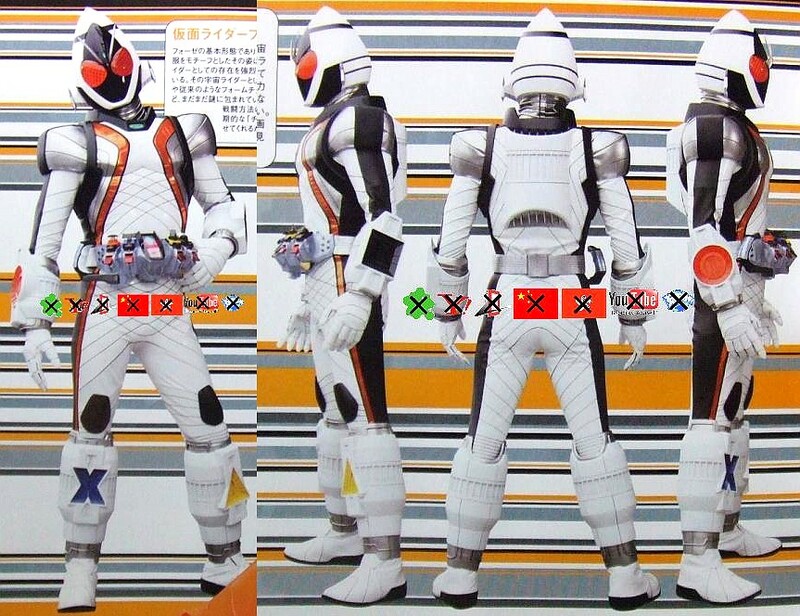 The B-Crushers never got proper toys anyway; just the vinyls in Japan and just Scorpix in the US. I just started messing around with my Juuko B-Fighter figuarts again and yes, this couldn't be more true. The details on them were amazing and they came with decent accessories. They wouldn't be a difficult team to complete too...at least make that white member for the OG team. Well, I do remember Tamashii Nations 2014 (?) they showed off basically every tire if not all of them. And some of them would have been pretty stupid and generic ( the cement one that was just gray), but oh well. No biggie. I wonder what this advancement could mean for future figures across any line. One would imagine that if the previous releases sold well, they'd keep making more. The B-Fighters probably just didn't move enough units to make additional releases worthwhile for Bandai. The B-Crushers never got proper toys anyway; just the vinyls in Japan and just Scorpix in the US. Yikes, her eyes are a bit off. They look enlarged like Mantis'. That OOO will be mine. Hope TaJaDor and PuToTyra won't be far behind. And Birth! For those who own the renewal Wizard, how well do the Rings stay in his hands and belt? Perfectly, from my experience. I've not really played with them, I just put the right rings on his fingers and the rest on the chain, but they've all gone in firmly and not budged since. I don't think we'll get an SS Tajador. 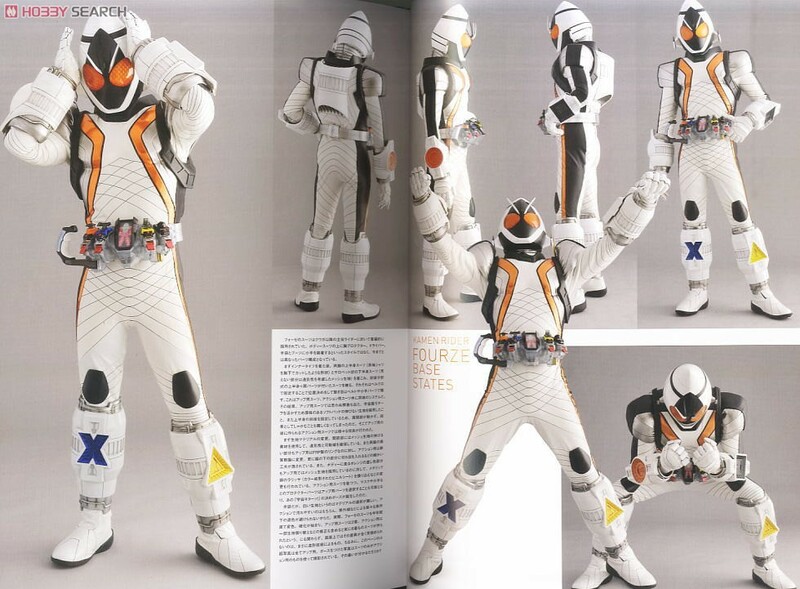 The main purpose of the line is updated core riders. Although I would like a gatakiriba. C'mon Bandai. We just need the head to complete it! We're practically guaranteed to get TaJaDor, why wouldn't we? They've done multiple forms of almost every main SS release so far, and TaJaDor is OOO's most important alternate. 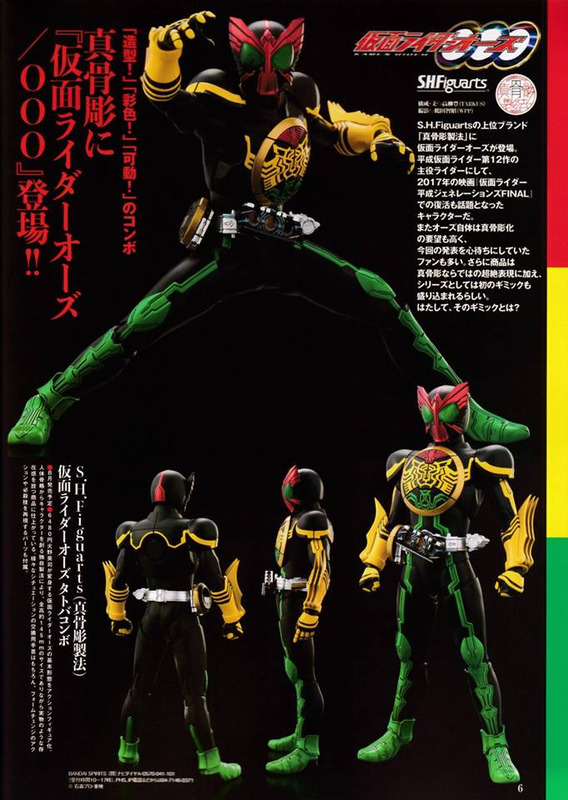 If we've managed to get FangJoker, Amazing Mighty and Hyper Kabuto, then TaJaDor is a safe bet indeed. Trying out a new hosting site. Details on post Likes can be viewed by active members only. Log in or Register today if you're not yet a member. The rings stay in amazingly well. It's just the fact that you have to swap them that makes them an issue. 1. I dunno. 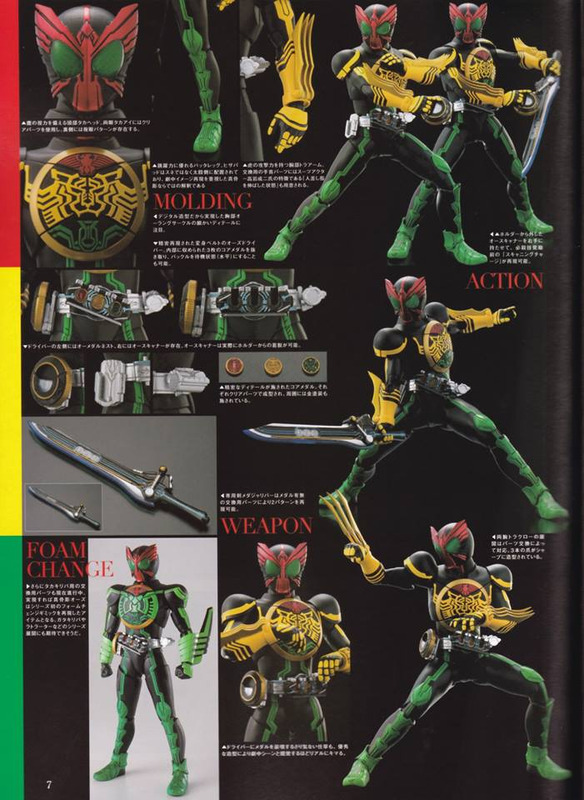 Just because that's all we've gotten so far, I don't think that means it's impossible to see more upgrade forms. Especially TaJaDor, which could still use an upgrade and is a pretty popular form. But guess we'll see. 2. Holy crap. Wait, is this OOOs release coming with the replacement chest as well or are they just advertising the chest swapping ability for when another form is released? When does OOOs go on Preorder? I need to get one in for sure. Last edited by Activator; March 23rd, 2019 at 11:19 PM. Glad to hear the Rings at least stay in. Thanks guys. I wonder if we'll see anything else from Wizard. Surely if they had no plans to eventually release the other forms again, they wouldn't have bothered including the Combo Change gimmick? If we are getting all those W forms, etc, I think we'll see at least the other 3 element base forms for Wizard--especially since the originals all have the same issue. Whether or not we get the Dragon forms...that could be a whole other story. I don't know if anyone is doubting the release of other forms, but specifically Tajador and PutoTyra, which were "final" forms in their own right...especailly Tajador, which was its own thing as far as I know/have seen of it in footage. The other Styles would be nice, especially Hurricane. But I'm REALLY hopeful we see Beast, White Wizard, and Infinity. That'd be nice, though cloth jackets can be very hit or miss. Mezco's Homemade Spidey looks fantastic with one though so hopefully. 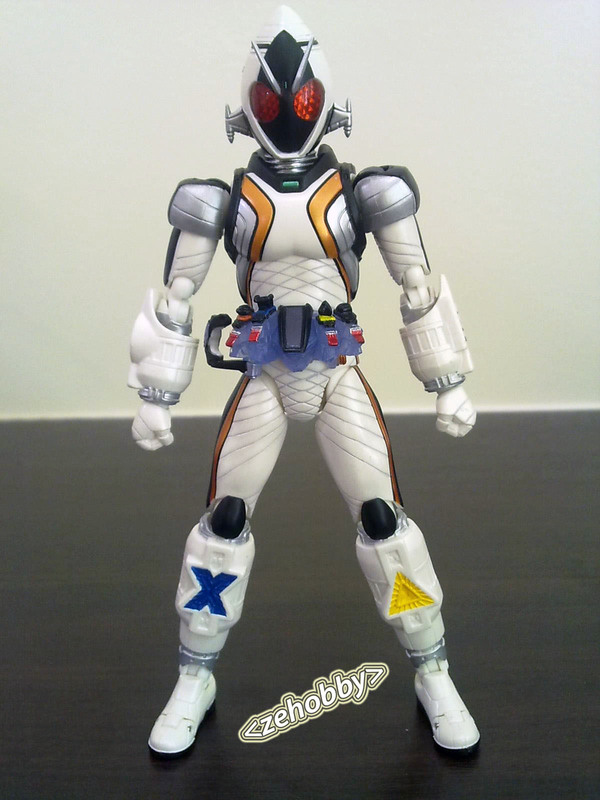 I think we all know what kamen rider needs an upgrade next. It's like 60% there to a faithful representation. That chest area. It's so painfully off. Even to this day, Eternal falls over occasionally and the damn memory flies out... don't know how many times I've had to track it down. Almost debated on leaving it out... most wouldn't notice it anyway. But holy moly... the change gimmick is amazing. I kept Zone in the Maximum Drive slot iirc, and Eternal in the Eternal Edge.